5 Gallon coated steel tank Tank with 6" x 3/8" Brass Nozzle, 48" Nylon Braided Coolant Line and two outlets. 5 Gallon coated steel tank Tank with 6" x 3/8" Brass Nozzle, 48" Nylon Braided Coolant Line and one outlet. 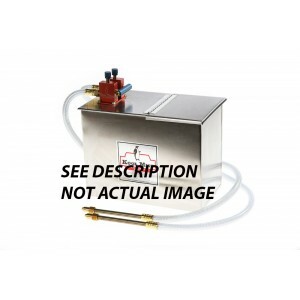 3 Gallon Stainless Steel Tank with 6" x 3/8" Brass Nozzle, 48" Metal Coolant Line and four outlets. 3 Gallon Stainless Steel Tank with 6" x 3/8" Brass Nozzle, 48" Metal Coolant Line and three outlets. 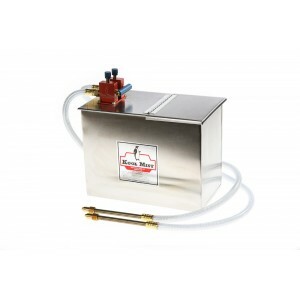 3 Gallon Stainless Steel Tank with 6" x 3/8" Brass Nozzle, 48" Metal Coolant Line and two outlets. 3 Gallon Stainless Steel Tank with 6" x 3/8" Brass Nozzle, 48" Metal Coolant Line and one outlet. 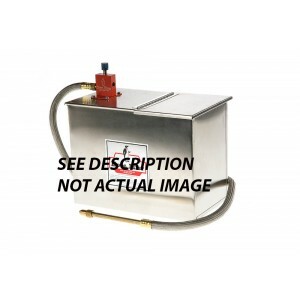 3 Gallon Stainless Steel Tank with 6" x 3/8" Brass Nozzle and two outlets.